Tristan tossed and turned, but sleep refused to come. Even though it had been several weeks already since he’d arrived at Canyon City for Beginner skybax rider training, he was still unaccustomed to the feel of sleeping in a bed carved into the side of a stone wall. The thin mattress beneath him, which was supposed to offer some cushion against the stone frame, seemed more like a joke than anything else. Supposedly the rougher living conditions were part of the toughening up experience for the Beginner rider cadets. They were told that comfy beds would not always be available during flight missions and they needed to get used to sleeping under harsher conditions. Tristan decided that he’d rather just face that hardship as it arose rather than spend so much time prepping for it. He rubbed his sore shoulders and sighed despairingly. He really was a soft city boy, though he wasn’t ready to admit that in front of the other cadets. So far each day of training had been so new and interesting that he’d been able to overlook most of the cons and inconveniences of a cadet’s training world, but the newness was wearing off and reality was settling in. Tristan found himself thinking more and more about his home far away in Sauropolis, the capitol city of Dinotopia. His family was there. His school friends were there. The house he grew up in was there. His comfy bed and homemade quilt was there. He even found himself missing his old job in the well known restaurant called The Sauropolis Starr, the title being a pun on words since his family’s last name was Starr and it was his parents who were in charge of running the place. He’d practically grown up in that restaurant, terrorizing it as a small child, then put to work in it as soon as he was old enough to carry dishes without breaking them. He’d never appreciated the simplicity of that job until now. Tristan groaned lightly and punched at the cotton stuffed pillow, trying to reshape it, but the well used and lumpy pillow could no longer offer anymore fluff. For all the seventeen year of his life, the idea of coming to Canyon City to become a skybax rider had been a blown up fairytale in his mind, stemming from the awesome stories that his skybax rider Uncle Drake, seemed to have an endless supply of. But now that Tristan was finally here and living out his childhood dream, he realized that Uncle Drake somehow left out the unpleasant parts in his glorious tales. The sleeping sounds of the other three cadets seemed to fill the room. Jamin was snoring, Taddeo was talking in his sleep again, and Mathias was coughing and wheezing, having breathed in too much dust in the air that day. Tristan pulled the blanket over his head, but it did nothing to muffle the sounds. He put the pillow over his head too, but then he just felt suffocated. He pulled it all off again and the moonlight filtering in from the window shone right into his eyes. He squinted in the light, staring over at the window. A paper shade was pulled down over it, fastened securely at the bottom edge to the stone windowsill, but Tristan could still see a faint outline of a perfectly round moon through the thin shade. The light of the moon set the window aglow, transforming it into a mystical arched beacon. Beams of silver streaked out sideways from the gaps in the sides of the window where the paper shade pulled away from the edges as the night breeze breathed against it. “No wonder I can’t sleep.” Tristan murmured as he rolled out of bed. “It’s the night of the full moon.” Back home it was traditional for the Sauropolis citizens to gather by the bay on the night of the full moon and watch it rise. Tristan and his family had always been faithful in attending the event, unless, of course, it was raining, and then the event was cancelled anyway. Tristan quickly prepared himself to go outside, exchanging his soft night shirt for a tunic, pants, a belt, hiking boots, and a light jacket. With one hand he snatched up his backpack, always packed and ready, which sat on a woven mat near the doorway, lined up with the other cadet’s packs, and with his other hand he grabbed his hiking staff, which was leaned up against the wall next to his pack. He’d learned quickly that a packed and ready hiking bag and a good staff were two of the most important things to have in the canyon environment, those and a sturdy pair of boots and a good sense of direction. Tristan slipped outside the guy cadets’ dormitory and closed the wooden door very quietly, hoping none of the other cadets would awaken to the shuffling sounds of his movement and the clicking sound of the door knob that he’d never noticed up until now. He looked up to the sky, sent a smile and a thumbs up to the moon, then set out through Canyon City. Aided by the light of the moon and the occasional city night lamps lit along the paths, he quickly skimmed through the beautiful settlement. Most of the dwellings were literally carved into the canyon walls, adorned in terraced gardens, and connected with a labyrinth of stone and rope bridges. Having been there nearly a month now, Tristan skillfully traveled through narrow passages lined with wooden railings, crossed over rope bridges, scampered up steps and down steps, and avoided the paths dotted with the occasional bobbing lanterns, telltale signs of other folks on nighttime excursions, most of which were merely returning home after attending late night activities, or from working late shifts at their jobs. Tristan did not carry a lantern. He didn’t want anyone spotting him, merely a Beginner Rider, heading in the direction of the paths that led outside of the city. There was a curfew, after all, for Beginner Rider cadets. No activities outside of the city limits after dark. Ever since that first day when the curfew was brought to the attention of the new batch of cadets, Tristan struggled to conform to it. All the rules, for that matter, he struggled to conform to, but this one seemed the hardest. He understood that discipline and the capability to discipline one’s self was an important asset to training, and the Master Pilot made it a point to stress this to each of the cadets, but Tristan struggled to see how the curfew aided in this. Yes, they’d been told that the curfew was also designed for safety reasons. The canyons were dangerous enough during the day due to the massive heights, narrow trails, and buffeting winds, but at night the dangers heightened because of the darkness. At least that’s what they were told. Tristan suspected there might be something else, some other kind of unspoken danger, but when he asked about it, his questions were simply brushed off and he quickly figured out that pressing the matter only gained him the title of being a ‘difficult’ cadet. As Tristan glanced about while crossing through the village, it was apparent that this custom of watching the full moon was not known here. There were no clusters of moon gazers to be seen anywhere. Perhaps it was because the wondrous views from the stone towers and rock formations belonging to their city were enough to satisfy the urge for awe and speculation among the Canyon City citizens. Even so, Tristan couldn’t seem to see the extraordinary scenery of Canyon City. His mind was clouded with pictures of home in Sauropolis. Tonight there would be a nice crowd gathered by the bay to watch the moon rise. Astronomers with their binoculars and telescopes and papers would be watching the night sky, charting astronomical patterns and activity. Sometimes a choir was scheduled to put on a short performance, selecting songs with constellation themes for the occasion. Sometimes his parents liked to dance beneath the moonlight. His youngest sister, Celesta, who was typically shy and quiet, would find some solitary place to watch the moon by herself while his other sister, Tiana, would be off somewhere with her friends playing games or getting into mischief of some sort, accompanied by the family’s adopted deinonychus companion, Sekani. Tristan swallowed hard, not wanting to face the truth. He was homesick, very homesick, so much that it caused a lump to rise in his throat. He never thought this would happen, but here he was roaming this strange place of wind and stones known as Canyon City, (though compared to Sauropolis, it was more like a village, despite the ‘city,’ attached to its title), and longing to hear the noisy clamor of Sauropolis instead of the lonely crying of the wind. He glanced up at the moon again. He could watch it right here and not break any rules. But the path beyond the sign stretched out before him with swirling wisps of dust beckoning in the moonlight. What an adventure it would be to explore the path beneath the light of the moon! Maybe the sheer excitement of breaking rules would drive away these exasperating emotions of homesickness. Besides, if he returned on time, no one would ever know he’d broken the curfew rule. Tristan threw his shoulders back, lifted up his chin, and marched past the sign. A wide grin spread across his face and a fresh bout of energy washed over him. What stories he would have to tell his sisters someday when he returned home! With that thought in mind, he turned his back to Canyon City and sauntered down the moonlit path. The gravel crunched beneath Tristan’s boots as he walked carefully along the familiar narrow trail winding through the canyons. Because he’d traveled this path many times already on treks with the rest of the cadets, he didn’t feel too concerned about getting lost. However, after rounding the first bend in the path, a cliff wall blocked out the moonlight and the shadows became too thick to safely maneuver through. Tristan promptly retrieved a small stone from the pouch attached to his staff and secured it into the brass band that encased the top of the hiking staff. The bluish silver light streaked out from the stone in all directions, mimicking the stars pinned to the black sky above. The stone hummed faintly, filled with stored energy to produce the light. As far as Tristan knew, both the stone and the staff were passed down through the family for many generations. The story that went along with it was that the rare sunstone came from the mythical place called the World Beneath. Long ago when both humans and dinosaurs left the underground caves, there was a mutual agreement that all sunstones were supposed to be left behind. The reasons for this were somehow lost throughout the passing of time. It was said that despite this agreement, a few sunstones left the caves due to people who secretly disobeyed the wishes of the higher councils. While reflecting over this, Tristan came to the realization that the tendency to disobey rules apparently ran in his blood if the stories about the sunstone held any kind of truth. He wasn’t sure whether to be guilty or proud. As a result, he felt a little of both. As he continued to travel the worn path, the wind whistled in lower tones the further he traveled downward. It felt as if he were being lured into the belly of a giant beast—one far bigger than a tyrannosaurus rex. Tristan couldn’t get the words ‘darkness’ and ‘danger’ out of his mind, but he determinedly pressed onward. Even the light of the sunstone could not banish the huge shadows cast by the cliff walls and rock formations, making it difficult to see the thorny bushes, gravel pits, and treacherous drop offs. The wind and the black shadows seemed to be working together as a team to play tricks on him, making it difficult to keep his balance. The moon, great and full as it was, could only softly glow against the greater darkness. When the trail crossed through the vast open spaces Tristan’s small sunstone seemed only a speck of light drowning in the night, no more than a tiny star, bobbing along the twisted path. Tristan’s held his head down as he concentrated on keeping his footing. His goal was to reach the end of the trail which opened up upon a cliff top known as Gideon’s Watch. He was anxious to see what the view looked like from there beneath the moon’s glow. Because of this, he did not see the skybax gliding on a breeze far above in the night sky. The skybax was hunting, keeping a sharp eye out for small dinosaurs, snakes, or lizards scampering along the canyon paths or grazing on the leaves of shrubs in open glades. Hunger grumbled in his belly and he was tempted to ignore the unusual sparkle progressing toward the wide open ridge top. But curiosity soon out weighed the hunger. The skybax drifted lower, deciding that the tiny sparkle moving below was not merely the moonlight glinting on a ribbon of water leaking from a canyon wall, neither was it a star reflecting in a small pool of water. Down below, Tristan triumphantly reached the wide cliff top known as Gideon’s Watch. The open stony ground stretched out before him, bathed in moonlight. He’d been here before during the day. In fact, less than twelve hours ago he’d crossed over the same ground during a lesson in training that was focused on self discipline. The group of cadets were taken on this hike along the Red Rim Trail only to learn that at the end, they had to crawl as close to the cliff edge as their inner level of courage would allow. They were instructed to discipline themselves to be aware of the danger, but to also be aware of their own strength and abilities. And then there was another whole level of discipline brought up and that was to push forward despite one’s fears. Tristan remembered the incident all too well. Whereas he had managed to complete the hike keeping his fears moderately hidden beneath a well practiced expression of mock courage, most of the other cadets had struggled openly. Halfway through the hike, Jamin had to turn back because he was too afraid to cross so closely to the edge of a deep gorge. Fira, the only girl cadet in the Beginner group felt motion sickness even though they were hiking on solid ground. Their instructor, a tall, dark haired and light skinned middle aged man who owned the prestigious title of ‘Master Pilot’ explained that the motion sickness was brought on by the dizziness which stemmed from the fear of heights. Then there was Taddeo who completed the hike, but babbled his whole way through it, voicing every fear which popped into his mind. He didn’t seem to care if anyone saw the weakness he felt. In one way, Tristan wanted to be more like Taddeo in the fact of not caring what anyone thought, but on the other hand he didn’t want to throw every thought out in the open for all to see and judge. Mathias had been the most daring cadet, managing to show no fear as they came near the cliff edges. His expression only spoke of determination and careful calculation while he crawled toward the cliff edge and managed to look down into the open drop of space. All in all when comparing himself to all the other cadets, Tristan felt that he had done well, but not well enough for his own high standards. He’d buried his emotions to those fears because he didn’t want to look weak in front of anyone, especially in front of Mathias who’d appeared so unconcerned about the heights. Even so, he still hadn’t been able to come as close to the edge as Mathias had done. So far it seemed that no matter how hard he tried, he always remained one step behind Mathias. Tristan slipped the backpack from his shoulders and set it on the ground at the head of the path. After removing the sunstone from the top of the staff, Tristan laid the staff down next to the backpack. He carefully crossed into the open space before him, holding the sunstone out in front of him to light his way. Now that he was no longer within the shelter of the towering cliff walls and massive stones, the wind freely buffeted him. It took a moment for him to gain his balance before pushing forward. As he neared the cliff edge he dropped to his knees. Putting one hand in front of him after the other, he crawled carefully forward. He kept the sunstone clutched tightly in one hand, the bright light streaking through the gaps in his fingers. Even though he’d traveled relatively downward for most of the hike, he’d come nowhere near the bottom of the canyon. The jagged edge of cliff loomed in front of him, gleaming in the moonlight like stained teeth before the black mouth of a deep precipice. The wind tousled his dark hair and the moon glinted against the unusual white patch of hair on top of his head. At seventeen, he was far too young to acquire white hair, but this small patch had been there ever since birth. He sank down until his chest pressed into the dusty ground and he scooted the last few feet leading toward the cliff’s edge. As Tristan approached the edge, his breath came in shaky gasps and his hands gripped the ground below him, though there wasn’t much more than dust and small gravels to cling to. He clenched the sunstone tightly, feeling a little comfort in hearing the faint hum emanating from its glowing energy. Finally he forced himself to look down into the gorge. A myriad of moon washed stone walls and jagged ledges mixed with black spaces where the moonlight could not penetrate spiraled ever downward, swimming before his eyes. Tristan fought the gasps and concentrated on taking deep, controlled breaths. He would have to get used to this feeling and this view if he ever hoped to ride a skybax one day. Once in the saddle of a flying beast, pushing through open space, feet no longer touching the earth, he would have to keep a clear mind and controlled emotions because it would mean the difference between life and death. He remembered this from one of the previous days of lessons. Now was the time to repeat it all. Now that no one was looking, Tristan could gasp, he could cringe, he could cover his eyes if he wanted to and he could throw up if the dizziness twisted his stomach too much. No one would see it now while he was alone. But he was not alone and someone else was looking. The skybax, still drawn to the light of the sunstone, drifted ever lower in order to get a better look at the sparkle from down below. As Tristan lay there peering over the edge, a flicker of movement from above caught his attention. He raised his head, searching the sky, the moon reflecting in his dark eyes. Then his eyes widened in disbelief as he caught sight of a skybax crossing in front of the full moon. It soared above the ledge that Tristan occupied, the moonlight glossing the creature’s wings in silver. Tristan rolled over onto his back, gazing upward at the skybax, a look of awe on his face. But how could this be? He’d been taught that skybaxes preferred the day for flight and at night they gathered in the rookeries to sleep. The darkness made flying dangerous and landing difficult. What madness had driven this skybax into the night? What Tristan did not know is that the skybax contemplated the same thing about him. What madness had driven this young human to roam the canyons at night? Did he not fear the numerous dangers of the canyons that humans typically feared? The steep ravines, drop offs, gravel slides, and sink holes that were harder to see being masked in darkness? Did he not fear the venomous adders that skulked among stones or the thorn bushes that had a way of tangling up the person who passed by too closely? And most of all, did he not fear the legends of the nocturnal skybaxes who haunted the canyons at night? The creature made a large circle before swooping down lower, aiming for the cliff ledge where the boy was watching. Tristan quickly rolled over onto his hands and knees scrambling away from the danger of the cliff edge, aiming for the shelter of the large stones further back on the ledge where he’d come out from the trail. The skybax flapped his huge wings, banking slightly upward, shooting past Tristan, then spun around and advanced toward him from the opposite direction, cutting off the boy’s path to the shelter of the stones. The cliff edge now lay behind Tristan and the skybax was coming fast in front of him. He realized that if he didn’t get out of the way fast, the creature was going to drive him backward over the cliff edge. His only choice now was to sprint quickly to either the right or the left and hope that there were no splits in the surface of the cliff ledge that he could step into. Fighting against the instinct to remain on his hands and knees when so near a drop off, Tristan sprang to his feet and held the sunstone out in front of him, hoping it was bright enough to illuminate all impending dangers in the unfamiliar ground to his right. Instantly, the wind pounded him now that he stood up straight. He staggered, throwing out both arms for balance. Just as he finally managed to get his balance under control, and he took off toward the right, the skybax landed. Tristan was not far enough out of the way. The wind created from the creature’s huge wings swirled around him along with the dust that clouded into the air as the skybax’s clawed feet met the ground. Tristan lost his balance again. As he tottered, one of the skybax’s wing tips thumped against his left side, knocking him to the ground and sending him sliding toward the cliff’s edge. The sunstone slipped from his fingers and bounced out of his reach. Tristan frantically clawed at the ground, hoping to grasp anything in order to slow him down. His knuckles scraped against the ground, but he only managed to come up with fists full of dirt and pebbles. Then there was another whoosh of air and he felt something thump his other side so hard that it sent him rolling back in the other direction until his body jolted to a stop as his back hit a boulder further away from the cliff edge. He lay there for a moment, trying to catch his breath and waiting for the dust to settle. Slowly, he sat up, feeling shaky as he realized how close he’d come to being knocked right over the cliff edge. Then he suddenly realized that it wasn’t just his own breathing he was hearing rasping in his ears. Slowly, he raised his head and came face to face with the skybax. The skybax had his head turned sideways looking at Tristan through one of his large, round, eyes. Tristan’s gaze locked with the skybax’s. The skybax just watched him, breathing normal, not even appearing to be winded in the least bit. This creature clearly wasn’t afraid at all. Of course, why should he be? Tristan was completely at the mighty creature’s mercy. The skybax stared into the boy’s dark eyes, detecting fear within them. Good. He needed to know who was in control. Tristan finally looked away for a moment, catching sight of his sunstone lying on the ground behind the skybax. The skybax traced his gaze and saw the sunstone too. He could tell that the boy was worried that he would not get his sunstone back. The creature turned, keeping one wary eye on the boy, and reached out a wing, brushing it along the ground, pulling the sunstone closer until it lay on the ground between him and Tristan. The creature sighed deeply, calmed by the feel of the light touching his body and the soft humming tone coming from it. Only in the World Beneath could other sunstones be found. So how did this boy have one in his possession? Had he trespassed into the sacred caverns? If so, why did he take such a small one when there were so many larger ones available? Humans could be shifty and it was better to keep away from them. At least, that’s what all the nocturnal skybaxes believed. They scorned their brothers of the day who risked bonding with humans. Tristan was at a loss of what to do. The skybax was clearly fascinated with the stone. He was afraid that if he tried to take it back the creature would be upset and after that terrifying display of power, Tristan did not want to do anything that would displease the skybax. He swallowed hard. If he didn’t have the sunstone, it would be very hard to return to Canyon City. Though the moon was bright, there were too many shadowed stretches of the trail that were too dark to travel through without the aid of the sunstone. Tristan slowly moved one hand to his upper arm, pointing out the Beginner riders’ insignia stitched onto the fabric just below his shoulder. He turned slightly where the light of the sunstone could illuminate it. The skybax looked down at the symbol, then back at Tristan’s face several times. He did not know what the symbol meant. From what he could see, it looked like a saurian foot print—a tiny one, like that of a lizard, one that he liked to eat. Why would the boy proudly put it on his sleeve? Did he like to eat lizards too? Tristan pointed to the sunstone, then back at himself. The skybax understood this. The boy wanted the sunstone back. He said it belonged to him. This was hard. He liked the sunstone. Its light was beautiful. It made a pleasant tone, though it was a very faint one. This is what had attracted him to this human in the first place. Now the human no longer had it in his possession and it could be his own now. But he knew where to find more sunstones, though there was the pteranadons to consider. It wasn’t really worth trying to battle through them to get to the portal to the World Beneath all because he wanted a glowing stone to look at. This one was so much easier to take. The skybax sighed, making a whooshing sound through his beak. But no, he was not going to take the sunstone just yet. This human needed the light in order to return home. He’d heard that humans had very poor eyesight in the dark. As a result, they usually slept at night. But this human, instead of sleeping, had obviously been using the light to explore the night world. Maybe this human was just curious and liked to explore, just like he too was curious and liked to explore. The skybax batted the stone back and forth several times with its wing tips before finally giving it one last push, sending it rolling toward the boy. Tristan watched as the bright stone rattled to a stop right in front of him. Very slowly, keeping one eye on the skybax, he reached out and picked up the sunstone, glad to have it in his hands once again. It would be terrible to lose the stone, considering how valuable it was and how many generations it had been passed down through his family. The skybax expected the boy to jump up and run as he had done before, especially now that he had the sunstone back. He watched and waited, but the boy did not run. The skybax moved his wings, spreading them out so that Tristan could see that it wasn’t just the moonlight giving the edges of the wings a silvery hue. They were naturally tipped in a silver shade. In the odd lighting of the moonlight and the sunstone, he couldn’t make out what colors were splashed across the rest of the creature’s massive wings. They could’ve been the more common russet shade, but Tristan felt certain that it was a different color, navy blue, perhaps, to match the night. The skybax moved his wings in a wide arc now, sweeping them toward Tristan. Instinct screamed at him to get out of harm’s way, but he stayed put, hoping he wasn’t making a stupid mistake. The skybax stopped his wings, surprised. After all the power he’d displayed earlier and how frightened the boy had been then, he wasn’t trying to get out of the way now. Yes, there was still fear reflecting in those dark eyes, but the boy was communicating trust. He was not running, he was not trying to fight back, he was simply holding still. They looked at each other for a few more minutes. Then finally, the skybax made a choice. This human was interesting. He would not harm him. He would let him go in peace. The skybax looked at him for a moment longer before shifting his gaze to the sky. Tristan realized then that the skybax was thinking about taking flight again and he needed plenty of space to take off. The skybax stepped aside and gestured toward the sky. He flexed his wings, then glanced over at Tristan, obviously warning him to stay out of the way this time. Tristan crawled behind a boulder, then peeked out and watched. The skybax looked his way one last time, then ran toward the cliff edge and pushed off the ledge and into open space. Tristan watched in awe as the creature flew out of sight. For some reason, this skybax was different than the others. It liked to fly at night. Instead of displaying gestures of anxiety, it flew with a manner of confidence and skill. Using the light of his sunstone, Tristan hurried back to Canyon City. His mind reeled with questions, but he wasn’t sure how many to bring up to his instructor. He’d have to ask in a way that wouldn’t give away the fact that he’d been out on a canyon trail at night. Tristan stifled a groan. He wasn’t sure why, but there’d been friction between him and Mathias from the very first day of training. “I won’t be falling asleep tomorrow so no one will have to explain.” He whispered back to the boy occupying the carved out bed just above his own. Just after closing his eyes, he heard a rustle from above. He opened his eyes again to see Mathias’s upside down face peering down at him. “What were you doing out there alone?” The boy whispered. “That’s my business.” Tristan replied. “Why don’t you just go back to sleep before your face turns purple?” He meant to say it lightheartedly, in a joking manner to ease the tension, after all, the boy did look funny hanging his head down from the bunk above, but it didn’t come out that way. The irritation in his tone was unmistakable and Tristan wished he could take back the words and try again. He’d never been successful at joking. Mathias merely snorted in response as his face disappeared from above. Tristan sighed and rolled over, wondering how different things could be if he would just tell the other boy about his moonlit excursion. What if Mathias was intrigued with the idea of breaking rules? It was a possibility, but since Tristan wasn’t a hundred percent sure, he decided to keep the secret to himself. Besides, he’d used his sunstone and he really didn’t want anyone else to know he had one. But the best secret of all was that he’d encountered a skybax who could fly at night. Even though he was tired, Tristan still had trouble falling asleep. His mind was full of unanswered questions about the skybax he’d just met. Why hadn’t he ever heard of nocturnal skybaxes before? Could this be one of the ‘night’ dangers that his instructor and other riders evasively referred to? After much tossing and turning, he finally drifted off to sleep. Tristan glared at the scratchy white writing on the large slate blackboard. When he’d come to Canyon City in anticipation of becoming a skybax rider, he’d imagined day after day of being outside spending time with skybaxes. He’d been wrong. This was another thing to add to the list that Uncle Drake never mentioned. Yes, there were plenty of days spent outside and up at Pteros, the rookery, but there were also days dedicated to lessons that took place in the Beginner Riders’ classroom. These days reminded Tristan of the school days back in Sauropolis before he had reached his teens. He’d always hated being cooped up inside and somehow the dreaded schoolroom atmosphere had followed him even to the vast and desolate canyons. Will Denison, the instructor, stood at the front of the room with a long pointer in one hand. As he spoke, he tapped the pointer against the board when referring to certain words or small illustrations he’d drawn. The tall, middle aged man looked out of place in the small room since he was dressed in his blue and gold master rider uniform which gave the impression that he was ready for taking flight at any time. The uniform, of course, was worn during all learning sessions to remain and inspiration to the students, whether it was a flight demonstration, canyon hike, or classroom lecture. The man’s words soon blurred together in Tristan’s tired mind. Winds, clouds, temperatures…rain? Not a whole lot of rain fell in the canyons and when it did, the villagers dropped everything they did and pulled the lids off of their water reservoirs and caught every drop they could. But Tristan couldn’t understand why one needed to know these things in order to become a Rider. What did any of this have to do with bonding with skybaxes? Especially if someone wanted to bond with a night skybax. It seemed as if studying astronomy would be more useful then. The moon and stars…weren’t there pictures in the stars? Constellations? A mighty hunter, a triceratops, a pterosaur…He rubbed his eyes, trying to concentrate. “You have to learn what the skybaxs’ world is like, what they see, what they feel, and what they are challenged by. Believe it or not, this includes the study of meteorology, and even geology, which we’ll cover during another session.” Like a canon, Will’s strong bass voice boomed through the small room, the ammunition seeming to be aimed at Tristan. The boy jumped, then sank back into his chair, wondering guiltily if the man could tell how much he was struggling to keep his mind on the current lesson. Will paused, a knowing smile playing at his lips before continuing with the lecture. Tristan picked up his Osteodontornis orri feather, dipped it in the inkwell, and studiously copied the notes from the black board onto the paper that had been given to him at the beginning of the class session. He knew from experience back in Sauropolis that paper did not come cheaply in the bartering business. If it had been passed around to the cadets, then he assumed that taking notes was highly important. After a few minutes, Tristan relaxed enough to glance around the room again. Two cadets shared the same table with him and two more occupied the table to the far right of the small room. On the first day of Tristan’s arrival he’d expected more fellow cadets, but quickly learned that eager skybax riders were few and far between. Taddeo Giovanni, who was twenty-five and the oldest of the bunch, sat at the same table as Tristan. He was a wiry young man with olive hued skin and a narrow face sporting a thin dark mustache and small goatee. He absentmindedly twirled his feather pen, his eyes, dark as cocoa beans, were fixed attentively on the instructor. Tristan had lost count of how many times the young man had raised his hand, blurting out question after question. Will patiently answered each question, not seeming to mind the guy’s talkativeness. It hadn’t taken Tristan long to pick up that Taddeo was an easygoing, fun loving, person with a positive attitude and a tongue that could hardly be silenced. He even talked in his sleep. Fira Lars also occupied the same table as Tristan and Taddeo. Her wavy brown hair was pulled back in a low messy bun near the nape of her neck and a curly shock of bangs covered her forehead. Her skin was pale and her cheeks looked very pink since her fair skin was prone to sun burning. She was short and slim and wore a pale pink tunic with navy leggings and light colored boots. She sat by herself, putting as much space between her and the boys as possible. With her chair scooted out from the table slightly, she sat with one leg folded beneath her and the other dangling free, swinging it back and forth from time to time. Her relaxed manner didn’t fool Tristan. One glance toward her paper told him that she was paying close attention to Will’s presentation. The paper was already covered in notes. She’d have to flip it over and use the back to write anything else down. Tristan’s gaze shifted to the other table where Mathias Kingsley and Jamin Allosham sat. Mathias often sat with his chair scooted back from the table, leaning back in a relaxed manner with his arms crossed over his chest. He didn’t appear to be overly concerned about a tidy appearance other than keeping his sandy brown hair parted and combed neatly to the side. He was strong and broad shouldered and didn’t seem to be afraid of anything. He often sent sly winks over in Fira’s direction, but she usually disregarded his flirtatious gestures by lifting up her chin and primly looking the other way. Jamin and Mathias had been best buddies since they’d met at Treetown during youth camp prior to arriving at Canyon City for training. They shared the same interest in becoming skybax riders, but had completely different personalities. Jamin was quiet, well mannered, and usually maintained a very tidy appearance. His skin was dark brown and he bore a head full of soft, jet black curls. He’d come from the desert region of Dinotopia and was accustomed to wearing sandals, light hued robes, and a headscarf to keep cool under the hot sun. However, due to a different climate, he’d ditched the desert garb and adopted the simple tunic and pants and hiking boots more suitable for climbing around the windy canyons. Neither one of the boys noticed Tristan looking their way. Both of them were watching their instructor. Tristan sighed. It appeared that he was the only one bored with studying clouds, wind patterns, and rain accumulation counts. It was days like these that brought on bouts of homesickness. After last night’s wild events, Tristan had hoped that the homesickness would’ve disappeared by now, but he felt the all too familiar tight feeling in his chest coming on as he found himself wishing he could tell his sisters about last night’s excitement. As he fought to keep his attention focused on what his instructor was teaching, a question kept pushing to the front of his mind. He wanted to ask about the skybax he’d seen last night, but couldn’t figure out how to incorporate it into the current topic. Also, it would be tricky to bring it up without giving any hints about his moonlight excursion beyond the city boundaries. Tristan’s mind drifted again to last night. It had been moderately windy and the skybax had flown high. Maybe the skybax had a daring personality. Flying high in moderate windy conditions as well as flying at night. Finally, Tristan couldn’t stand it any longer. He had to know. He had to take the risk. He raised his hand. A pleased look crossed Will’s face. He was glad to see his bored student finally showing some interest. Will sent his student an amused smile. “Well, first of all, skybaxes don’t typically fly at night.” He said. Tristan heard a snicker coming from Fira’s direction. He swallowed hard, resisting the urge to send a glare in the girl’s direction. Tristan resisted the urge to grumble. More than once now the instructor had brought up this subject of listening to the wind. He talked about tones, high tones, low tones, whispers, and that it all meant something important, but Will never revealed the meaning to the cadets. He always said that it was an individual journey for each cadet to learn to interpret the voices of the wind. Tristan felt like he hadn’t even begun that journey. Wind was just wind. Strong or soft. That’s all there was to it. There would be time later to mull over that subject. There were more pressing questions in his mind right now. “Have you and Cirrus ever flown at night?” Taddeo piped up. Tristan glanced sideways and noticed Mathias sending him an ‘I bet I know why you asked’ look. Tristan shook his head ever so slightly to warn the boy to not bring up last night’s excursion. Mathias rolled his eyes and turned his attention back to the instructor. Tristan tried hard to pay attention for the rest of the lesson. There was a whole lot more said about the wind, but he couldn’t find anything that exactly spelled out how to understand the voices of the wind. And nothing more was brought up about skybaxes flying at night. For fear that Mathias would say something, he kept his questions to himself for the rest of the session. Later that night, Tristan awoke as a beam of moonlight fell across his face. Squinting, he looked toward the window and discovered that the shade was still up. It was one of those things that everyone else assumed the other had done and apparently all the cadets were so tired that no one noticed that it had been left open before they fell asleep. The silver light spilled through the open window and filled the room with its glow. Tristan rolled out of bed and staggered sleepily to the window. Ever since the first day of training, the cadets had learned that it was best to keep the shade down during the night because it was unpleasant to find night bugs swimming in the wash basin in the morning or to discover a lizard wiggling down inside of a boot. Also, small dinosaurs known as the Saltopus, were notorious for climbing into open windows and carelessly rummaging through personal belongings in search of insects to eat. Sometimes small items disappeared with the Saltopus. The lizard-like creatures were fast runners and were only about twenty four inches long and stood no taller than eight inches and they were hard to catch. Tristan recalled one of the first nights when everyone had woken up to Taddeo chasing one of them around the room, trying to get it to drop the bootlace it was carrying. The little rascal managed to escape through the open window again, taking Taddeo’s boot lace with it. After that the cadets diligently remembered to keep the shade closed every night. That is, until this night. Tristan glanced about the room, making sure no Saltopus rascals were sneaking around before he grasped the shade to pull it down and latch it. With one hand on the pulley to the shade, Tristan paused, looking out into the night. The moon was high and full again, only a sliver smaller than the night before, shining down on the sleeping Canyon City. A shadow crossed the moon. Tristan’s eyes widened, no longer feeling sleepy. He leaned out the window, scanning the sky until he spotted the shadow again. It was the night skybax and this time it had flown all the way to Canyon City. He felt drawn to the skybax, like a magnetic pull. He spun around and hastily pulled on his clothes and boots and grabbed his pack of hiking supplies. Last of all he snatched the staff from where it leaned against the wall. He opened the door and paused, realizing that the window was still open. The other cadets would be less likely to awaken and find him missing if it were closed. Quickly, he pulled the paper shade down and fastened it, then slipped outside, quietly closing the door behind him. He didn’t even worry about breaking the rules this time. It didn’t take Tristan long to find the path he’d used the night before. He was faster now and more confident as the light of the moon and the sunstone guided him. In his haste and excitement, he paid little attention to the wind. It swirled around him, stirring up dust and whispering lightly in his ears, but Tristan pushed on, anxiously looking to the sky, trying to spot the skybax again. It was this action of looking up too often that caused him to stray slightly off the main path. He tripped over a bush and staggered sideways, jabbing at the ground with the staff in an effort to regain his balance, but the ground slanted sharply down behind him and his feet skidded on loose gravels. He fell to the ground, losing his grip on the hiking staff. The staff bounced and rolled backward. Tristan grappled for it, but this motion sent him sliding backward on the gravels. He couldn’t stop himself on the steep grade and his wild slide ended quickly as he plummeted down into a sink hole. Fortunately it was a short drop into the blackness, no more than eight feet down, but the rocks and gravels at the bottom offered a cruel greeting. He managed to land on his feet, but the momentum of the fall sent him pitching sideways. He threw out both hands, blindly trying to stop himself. His right hand came in contact with the craggy side of the pit, fortunately slowing down the fall, but not enough to stop him completely from striking his forehead head against the wall. He slumped over sideways, momentarily knocked out. His hiking staff tumbled into the sink hole with him, striking the stone wall as it went down, causing the sunstone to pop out of the brass band at the top of the stick. The sunstone bounced against stones on its way down, making a pinging sound as it went. Then it skittered across the bottom of the pit, stopping next to Tristan, illuminating the pit with silvery blue light. A few moments later the nocturnal skybax spotted the glowing sink hole. He’d seen the bobbing light of the sunstone as the boy raced along the path. He’d followed discreetly, like the mighty hunter that he was. But he was not hunting the boy in search of food. He hunted him because of the allure of the light of the sunstone. He flew down lower, searching for a suitable place to land. Soon he spotted a place where the path widened just enough for him to squeeze in a landing. By this time Tristan was regaining consciousness. He hadn’t blacked out for more than a minute or two, but this was enough time for the skybax to land and cautiously work his way around to the level side of the pit’s opening. He was careful to avoid the steep side that Tristan had slid down. When Tristan opened his eyes, he was first aware of the bright light of the sunstone. He squinted and rubbed his eyes, more concerned about his throbbing head than anything else at the moment. He sat up slowly and brought a hand up to his forehead, wincing as he felt a tender lump forming there. He also felt something warm and moist and realized that he was bleeding, though not badly. As he looked around, seeing the craggy walls of the pit rising above him, his heart sank in discouragement. He couldn’t remember the fall itself, but he remembered tripping and sliding on loose gravels. He realized now that he’d been over confident on the path and now he was paying for it. Frustrated with himself, he groaned and held his head in his hands, wishing the throbbing would ease up, but it only intensified with the movement. Headache or not, he was going to have to figure out a way to get out of this pit. Looking up and seeing the edge illuminated by the sunstone, he realized that it was not as deep as he’d first thought. He reached out and picked up the sunstone, then forced himself to stand, wobbling unsteadily on his feet at first. He scanned his surroundings and saw his staff lying only a few feet away. He staggered forward and retrieved it, pushed the sunstone back into the band, then used the staff to steady himself as he stepped up to the wall of the pit. He reached up and discovered that the top of the pit rose up six or seven inches beyond his fingertips. Maybe if he jumped he could catch hold of the top edge and climb out. He secured the staff crossways through the loops on the back of his backpack, making sure the sunstone faced upward. Then he crouched down, gathering his strength to spring upward as high as he could. He hoped his throbbing head could handle the impact. He jumped, throwing his arms up as high as possible. He managed to hook his elbows over the top edge of the pit and struggle for a brief moment, feet raking against the side of the pit, but was unable to gain enough traction to propel him upward. The weight of his backpack worked against him, pulling him backward. In a matter of seconds, the ground at the rim of the pit crumbled, sending him right back down to the bottom of the pit. When he landed, the jolt sent a fresh wave of pain through his head along with an explosion of colorful speckles in front of his vision. He crouched on his hands and knees, breathing hard and waiting for his vision to clear. The skybax saw the boy trying to climb out of the pit, only to fall back in again. He crept closer to get a better look into the pit. Tristan heard the rustle of movement from above and the telltale tinkling sound of gravels that showered down from the top of the pit. He eased himself back into a sitting position and squinted upward, uncertain of what he might see coming out of the blackness from above. Then the long beak of a skybax appeared, followed by a large shadowy head crest and a familiar glowing yellow eye. Tristan yelped in surprise and involuntarily scooted backward. “Whoa—what? I mean—it’s—it’s…you—I mean—you’re…here.” Tristan stammered, staring upward in awe. The skybax merely watched Tristan, taking in the scene and calculating on what to do. Clearly the boy had unmistakably fallen into this pit. The smell of blood was in the air, indicating that he was hurt. It was too deep for him to get out on his own. He’d just witnessed the boy’s failed attempt to get out. If no one helped him he would eventually die down there without a source of food and water. But why should he help a human? His clan, the nocturnal skybaxes stayed away from humans. But the human had a sunstone. This made him rare. This human, like himself, roamed the canyons at night. However, it was apparent that it had gotten the human in trouble. Moonlight combined with the sunstone light, illuminating the unusual white patch mixed in Tristan’s dark hair. The skybax studied the marking with interest. It was round, like the moon, but streaked downward in a point, like the sunstone. The skybax watched as the human fumbled with his pack and pulling out a bandana which he tied around his head, making the smell of blood grow fainter. The human pulled the staff out from the back shoulder loops of his pack and propped it up against the wall of the pit to the side farthest away from the skybax. He squatted down and dislodged a rock and placed it near one side of the pit. He moved another stone and placed it with the other one. The human was trying to stack the rocks high enough to climb up and out of the pit. The skybax’s skin at the corners of his beak crinkled in a pterosaur smile. He watched as the human paused several times, holding his head in both hands, but always resumed his work after a moment. Brave human. He liked this human. But soon the human was going to run out of small enough rocks for him to stack up. Using his beak, the skybax pushed a rock into the pit. It fell far enough out of harms way, but the boy looked startled anyway. He just stood there and stared upward. The skybax pushed another rock down and this time Tristan understood. He picked up the rocks one by one and added them to the growing stack. The skybax pushed several more down and Tristan stacked them. After awhile, Tristan stepped up onto the pile and reached for the top of the pit again. This time his fingers brushed the ground at the top rim of the sink hole. He stepped down from the wobbly rock pile and opened his backpack again. After rummaging through it for a moment, he pulled out a bundle of rope. He made a large loop at one end and knotted it, then looked up at the skybax which was still watching him intently. Tristan took a deep breath, hoping the skybax would understand his intentions. He gave the creature a pleading look, then threw the rope up toward the skybax. With a simple flick of his neck, the skybax caught it nimbly in his beak. His head disappeared for a moment and Tristan could hear rustling noises from above. The rope snaked up the side of the pit as the skybax pulled it further out. Tristan held onto the end of the rope, hoping the skybax wouldn’t pull it too far away and out of his reach. The rope stopped moving and the skybax’s head appeared again. He blinked several times and waited for the boy to make a move. Tristan tugged on the rope to find that it was secure, holding fast to something, though he couldn’t see what it was. Now it was a test of trust. He didn’t know what the skybax had hooked the looped end of the rope to, but all he could do was trust the creature’s judgment and try his weight against it. He really didn’t want to fall again. Instinct told him that if he hit his head hard again, he wouldn’t wake up the second time. The skybax saw the boy hesitate with a look of real fear glinting in his eyes. He could smell the boy’s fear and sense his pain. The skybax lifted his head and cooed softly, using the gentle low tones that skybaxes commonly used to soothe or reassure one another. Tristan stared upward, surprised at hearing the familiar tones. He’d heard mother skybaxes up the rookery use similar tones to reassure their hatchlings when strangers were nearby. He realized then that this skybax really did want to help him. He picked up his staff and raised it above his head, getting ready to toss it up. The sunstone shone brightly as he held it up. He made eye contact with the skybax, then tossed it upward like he’d done with the rope loop. He watched, delighted, as the skybax easily caught it in his beak just as it had done with the rope. The creature set aside the pole, careful to lay the end with the sunstone attached to it nearest to the edge of the pit so that Tristan could still have enough light to see what he was doing. Tristan secured his backpack over his shoulders again and grabbed hold of the rope, testing his weight with it. Whatever the skybax found to hook it on seemed to be holding well. He stepped up onto the pile of stones and teetered slightly on the wobbly base. After regaining his balance he put his full weight on the rope and lifted one foot up against the wall of the pit. Muscles tensing, he raised his other foot and managed two steps up the side before faltering slightly. His head pounded so fiercely that it felt as if it was going to split open. He was almost out. He had to keep going. Grunting with the effort, he managed another step. His knees were almost level with the rim of the pit now. Bursts of colorful specks paraded across his vision. “I have to make it out. I have to make it out. I have to make it out.” He muttered to himself over and over as he strained to climb out of the pit. The sound of wind filled his ears, growing louder and louder. He hoisted himself over the edge and pushed his body across the ground until his feet no longer dangled over open space. Gasping from the effort, he still clung to the rope and lay on his stomach, listening as the wind in his ears escalated to a roar. To make matters worse, his stomach was starting to feel awful. He held very still, trying not to black out again. Eventually, the roaring sound in his ears died back down and his stomach seemed to settle again. He felt a tap against his shoulder and looking up he came face to face with the skybax. It held its head so close to his that he could see his own reflection in its round inquisitive eye. This creature had just saved him, by helping him get out of the pit. Tristan just stared into that yellow eye, his thoughts tumbling through his mind in a tangled mess. He managed to snag one thought and hold it still long enough to contemplate it. He could say ‘thank you,’ but the skybax would only hear the tone of his voice and not know what the words meant, because according to what he’d learned so far from his studies in Canyon City, skybaxes did not communicate through the human languages. The feeling of gratitude overwhelmed him. How could he portray this to the skybax? He had nothing to offer, nothing to give, no words that could render understanding. The feeling was strong, but he wasn’t sure how to convey it to the skybax. In all reality Tristan was still weakly lying on his stomach, lifting his head up just enough to gaze upward into the eye of the skybax. Though the rope was still in his hands, the other end of it trailed off to the side, looped around a stout nub of a stump protruding from the ground where a bush top had broken off at some time, leaving its deep roots still embedded in the ground. He felt shaky, uncertain whether it was his head injury causing it, or his overwhelmed emotions. He honed in on the sound of the creature’s breathing. Using this as an anchor, he patterned his breath with the skybax’s. The creature breathed slow and steadily and Tristan followed, soon managing to synchronize his own breath with the skybax’s. As he did this, a great calm came over him, starting from his core and spreading throughout his body. Warmth tingled through his limbs and instead of the calmness bringing sleepiness, it brought with it energy and renewed alertness. The pain in his head ebbed away. All this while, Tristan never took his gaze away from the skybax’s. A new thought materialized into Tristan’s mind in the form of a picture. The moon in the sky, full and bright against a star gemmed black background and a silhouette of a skybax crossing in front of the moon. Tristan knew then that he could not stay here. He needed to return to Canyon City before he was missed. But he could always return to Gideon’s Watch beneath the light of the moon and meet this amazing skybax again. Yes. He would do it. Whenever he could manage it, he would return beneath the moon and meet this skybax and get to know him better and their friendship would grow. For now, the skybax had to go his way and Tristan had to go his. The skybax brought a wing around and lightly brushed the tip against the top of the boy’s head. Then he turned and looked toward the sky. Tristan pushed himself up onto his knees and crawled over to where his staff lay. His movements were precise and careful since the black mouth of the pit yawned menacingly behind him. Using the staff for leverage, Tristan stood and worked his way around the pit and found a place where he could climb back up to the main path he’d fallen from. Once the skybax saw that the boy was safe and managing fine on his own, he too returned to the wide part of the path, spread out his magnificent dark wings, and launched into the air. Tristan stood a safe distance away and watched as the beautiful creature lifted higher into the air, caught a thermal air current, and glided out of sight. By the time Tristan made it back to the cadet dormitory in Canyon City, the throbbing in his head had returned and his energy was running low. He put his stuff and backpack away as quietly as he could and changed into his night shirt. He removed the bandanna and ran his fingers along the knot on the side of his forehead, discovering that the wound was no longer oozing blood. Tiredly, he crossed the room to the wash basin and swished his fingers through the water, then dipped a corner of a wash cloth into the water and gingerly dabbed at the cut. In the dim lighting of the room, he couldn’t clearly see his reflection in the mirror, but he could feel that the mark on his head was going to be visible. He really didn’t want to have to explain to his fellow cadets or his instructor what had happened to him. After rinsing the soiled cloth in the water, he habitually dropped it into the pail sitting on the hard packed dirt floor next to the wooden cabinet that held the pitcher and wash basin. He winced at the plunking sound the cloth made as it hit the bottom of the pail. Quickly, he turned around to face the bunks, hoping that the sound hadn’t awakened anyone. Tristan relaxed when he realized that the young man was merely talking in his sleep again. They guy’s words were intriguing though. He tried to put together the words and make sense of them, wondering if Taddeo was dreaming about something he’d experienced, or if his mind was making some of it up as was the nature of dreams. The Rainy Basin wasn’t really a great setting to generate good dreams. He wondered if he should wake up the other guy in order to rescue him from a nightmare. But Taddeo’s mumbling soon stopped and Tristan decided to leave him alone. Before finally crawling into bed, Tristan selected a clean bandanna and tied it around his head in order to hide the telltale signs of his nighttime excursion. He felt so tired he just wanted to fall asleep instantly, but his aching head and whirling thoughts kept him awake. Finally, after what seemed to be a very long and miserable time, he managed to hold onto one specific memory and keep it in the forefront of his mind. Breathing with the skybax. As he focused on this memory, his breathing mimicked what he remembered and he finally drifted off to sleep. He grudgingly opened his eyes and saw Jamin’s head of curly black hair leaning over him. The boy was smiling, his teeth looking extra white in contrast to the dim lamp light of the room. Jamin ducked away from the bunk and scooped up Tristan’s clothes which were in a heap on the floor and chunked the bundle into Tristan’s face. Tristan sputtered and clawed at the dusty clothes until his face was free again. “I’m awake, okay?” He said grumpily as he slowly sat up. There was barely enough room for him to sit up straight beneath the bunk above him. His body felt stiff and sore and it took a moment to remember why. He still had a dull headache and it felt as if he needed many more hours of sleep. “Who dirtied up the wash water and didn’t pitch it out?” Taddeo complained, coming through the doorway and carrying the now empty basin. “Not me.” Jamin said as he sat down in the one wicker chair that occupied the room and started pulling on his boots. Tristan said nothing, not about to own up to the mistake. “Sorry.” Tristan mumbled, hoping no one would pester him with questions. “If you don’t hurry and get around you’ll miss breakfast.” Jamin added. Normally Tristan would’ve fussed back at the other boy, but this time he just let it go. His face twisted in a look of displeasure as his stomach seemed to give him signals that it would not be a bad thing to miss breakfast this time. Mathias crossed the room and took his turn at the wash basin. He paused in front of the mirror hanging on the wall above the basin and took a moment to run a comb through his hair, slicking his sandy hued bangs to the side. Though his back was turned, Tristan caught a glimpse of his smirk through the reflection of the mirror. Tristan decided to ignore Mathias’s smirk and turned to Jamin instead. “Thank you. I’ll remember that when you accidently sleep in sometime.” He looked down at the rumpled clothes Jamin had tossed in his face. They were dusty and sported a few fresh tears in the knees of the pants, but they would have to do for the day. Maybe he could shake out most of the dust and rub away the worst smears of dirt off the front of his tunic. He didn’t have any more clean outfits to wear because he was behind on doing laundry. Each of the cadets was expected to take care of their own laundry and Tristan hated doing it, so he often re-wore his clothes until Jamin would finally threaten to burn them if he didn’t go wash them. If he managed to get past Jamin, then the instructor would give him the disapproving look and a speech about the importance of a clean and professional Rider image. “Right.” Tristan mumbled, thinking about home in Sauropolis and all the mornings he’d slept in well past the rising of the sun because of staying up so late to attend late night activities which flourished in the city. Lucky Jamin. The change in schedules demanded no adjustment for him. “Guys, I’m out of here.” Taddeo announced. “And I’m going to eat all of your breakfast, too.” Though the young man was tall and thin, he somehow had a ridiculously large appetite. “Not mine, you won’t.” Mathias said, following the older boy out the door. Jamin followed, but paused to send Tristan a sympathetic look. “Rough night?” He said. “You have no idea.” Tristan replied. The door closed behind the cadets and Tristan felt relieved to finally be left alone. He’d have to hurry though. He stumbled over to the mirror and removed the bandanna he’d tied around his head that night, glad that the others had seemed too busy to really notice it and ask about it. He grimaced at the face staring back at him. His eyes were puffy and shadowed, his skin looked pale, and a distinct cut stood out on the bruising lump on one side of his forehead. He tried to comb his hair down over the wound to hide it, but his bangs just weren’t long enough. He poured some fresh water into the wash basin and quickly cleaned up, scrubbing the scratches he discovered on his hands and lower arms. The pain in his head had been so prominent the night before that he hadn’t even noticed the other scratches. He was glad to be alone so that no one would ask him how he’d managed to rough himself up strangely overnight. His skin washed up nicely, but his clothes were harder to make presentable. He tied the bandanna carefully around his head in order to hide the wound on the side of his forehead and hoped no one would ask him about the new look. Tristan decided to skip breakfast. The persistent dull ache in his head seemed to take away his appetite. So as not to appear unusual though, he joined the other cadets at the dining pueblo where the cadets usually ate their meals. He grabbed a quinoa muffin, winking at the waitress replenishing the bowl of hot muffins on the cadets’ dining table. Taddeo stood up. “Hurry up, slow poke.” He said in a teasing tone as he passed Tristan. Tristan barely had time to wrap the muffin in a cloth napkin to take with him before it was time to head out on the daily morning hike up to Pteros. As he followed the others out of the diner, he saw the waitress watching him with a frown. She was eyeing the bulging napkin in his hand so he quickly assured her that he wouldn’t forget to return it later. The woman just sighed and turned away, still looking unhappy. Tristan realized then that through the years she must’ve seen more than one good napkin disappear out that door with a rushed cadet who was too busy to remember to bring it back. He also realized that as crazy busy his life was right now, it was a good chance that he’d do the same thing. Rather than take the risk, he retraced his steps and plopped it onto the woman’s tray of dirty dishes that she was carrying. Before she could say anything else, he rushed out the door to join the others. The first couple of days of training, the cadets’ instructor, Will, had hiked with them, but once they were familiar with the path, they were expected to make the hike on their own. Will and Cirrus were always waiting for them up at Pteros, the skybax rookery. From there the first lessons of the day took place. By now the cadets were used to the long hike up to Pteros, but this morning Tristan struggled even worse than the first time he’d been introduced to the hike. It was a grueling uphill climb most of the way. As his blood pumped harder with the effort of climbing, the pain in his head shifted from a dull ache to a prominent pounding. Thirty minutes into the routine hike, he ended up lagging behind everyone else. “Enjoying the scenery?” Fira called back in a teasing tone. Tristan decided not to answer the girl since Mathias seemed more interested in replying for him. “Nothing to say?” Mathias pressed. “Ti-re-d?” He drew the word out, stretching it into three syllables, giving it a mocking tone. “From that far away?” Mathias wouldn’t give it up. “Maybe I should drop back farther so I don’t have to hear you.” Tristan answered, his present misery making him cranky. “Who even made up that stupid saying anyway?” Tristan called back. “Probably someone who met you.” Mathias smartly replied which brought on a round of laughter from the other cadets. Tristan quickened his pace, determined not to let his tiredness show. No way was he going to be the weak guy and risk getting teased again about being the soft city boy. He’d learned early on that the other cadets had all grown up in country locations and he was the only one from a significant city. He’d been teased many a time about this already. Tristan looked and sure enough, the first sliver of burning gold was rising above the craggy canyon horizon. Nearly every morning on their way up to Pteros they witnessed the sunrise and the splendor of it never grew old. “Shut up.” Fira said as she sauntered past. Mathias and Jamin exchanged grins. Taddeo just sighed and kicked a pebble out of his path. The second hour into the hike, Tristan found himself lagging behind again. There was still a good forty-five minutes left to go and for some reason this morning of all mornings, the rest of the cadets seemed to have more energy, maintaining a quicker pace and taking less breaks. The wind picked up speed the more altitude they gained. It whistled in Tristan’s ears and buffeted his tired body, making it more difficult to keep his balance. He stumbled more and more and he couldn’t tell if it was the views of the drop offs nearby that made his head spin or the exertion of the climb. “What’s the hold up, Tristan?” Taddeo called down to him from up ahead on the trail. “Just enjoying some alone time.” He called back. Tristan gritted his teeth and forced himself to pick up speed in order to prove the other boy wrong. The jog along the winding path lasted for about twenty seconds before the pain in his head grew so fierce that the path before him started swimming before his eyes. His stomach twisted. He was going to be sick. He stumbled and went down on his hands and knees, his body trembling as he crawled to the side of the path and threw up. So much for trying to look tough. When his stomach quit heaving, he crawled toward a nearby boulder and propped his back up against it and closed his eyes in exhaustion. “This just isn’t like you. You’re usually up ahead competing with Mathias and Fira for the lead. “Why didn’t you just admit you were sick in the first place?” Taddeo scolded. Tristan opened his eyes to see the young man looking down at him with a look of genuine concern on his face. “I’m not sick.” Tristan said stubbornly. “You’re a terrible liar.” Taddeo returned. Tristan sighed in relief. Apparently the other cadets were far enough ahead that they didn’t notice his little incident. “Fine then.” Jamin replied, using the classic answer of the person who unhappily loses in a disagreement and can’t come up with anything better to say. Tristan looked anxiously up the path and saw the other three cadets moving on ahead. Fuming, Tristan rose to his feet and lunged forward swinging a fist at the young man, but the hasty reaction was a mistake and his body wouldn’t comply. Dizzy with the sudden movement, he found it hard to focus on his target. Taddeo easily stopped the other boy’s fist by grabbing his wrist. Tristan staggered and Taddeo simply reached his other arm around the boy, pinning both of Tristan’s arms to his sides. He forced the boy back down to the ground and propped him up against the stone Tristan had been seated in front of only moments before. “Cool it.” Taddeo barked. “You’re down to one choice now. You tell me exactly what’s going on.” Cautiously, he let go of Tristan’s arms and stepped back. Tristan’s shoulders drooped in dejection. There was no way out of this. He would have to tell this cadet about what happened last night and hope that Taddeo would understand and not repeat the story to anyone else. “I don’t know what got into me. I’m sorry.” Tristan mumbled. Tristan chewed on his lower lip nervously as he stared at the other young man, wondering how to give enough information to satisfy his curiosity without giving away everything. “The longer you wait, the harder it will be to explain to our instructor why we’re late.” Taddeo warned him. “What were you doing outside? Uh-oh, don’t tell me you broke the curfew rule.” Taddeo said solemnly. “Ok, I won’t tell you then. Can we go now?” Tristan grumbled, looking at the ground so he didn’t see the merry twinkle in Taddeo’s dark eyes. “You did break the curfew rules.” Taddeo said with a mock gasp. “Yes, but I had a good reason, and don’t tell anyone!” Tristan said fiercely, shifting his gaze back to the young man. This comment won Tristan over. He took a deep breath and started explaining everything. He told about how it all began with just wanting to watch the moon in the tradition that he missed from back home in Sauropolis and how he decided that it would be an awesome challenge to take the hike to Gideon’s Watch beneath the light of the moon. “Well, you might not say that when you hear what comes next.” Tristan warned. Then he went on to describe the skybax he saw flying seemingly effortlessly at night and the rough encounter he had with it. Taddeo listened intently. Tristan explained how the next night he woke up and someone had forgotten to close the shade and how he saw the skybax in the distance from the view through the window. How he took off onto the trail to Gideon’s Watch again, but how he foolishly looked to the sky more than his footsteps and how he stumbled off of the path. How he remembered sliding out of control on a steep slope and then waking up in the bottom of a sink hole. He told about the skybax returning and helping him get out of the pit. “I want to be his rider.” Tristan said firmly. “Well you better tell it too. You’re in this over your head now. Ha! No pun intended. Sorry.” Taddeo chuckled. “Right. I know. Listen, I’m not going to tattle on you about all this. You’re secret’s safe with me. Just promise me this. Be careful, ok? This situation sounds hairy and you’ve already gotten yourself hurt. No wonder these skybaxes are only mentioned as legends. They’re probably too wild to bond with. You know, like the carnivores. Not exactly keepers of the code.” Taddeo frowned as if remembering something unpleasant. “Hey. I got myself hurt on my own. The skybax was the one who helped me.” Tristan argued. That last comment actually made Tristan laugh slightly. “Well that might.” He joked, expecting the usually jolly Taddeo to laugh too, but surprisingly, he didn’t. Instead he seemed overly interested in adjusting the strap to his backpack for the moment. Tristan suddenly remembered Taddeo’s nighttime mumblings about t-rexes and the Rainy Basin and wondered if there was more to those mumblings than just a random bad dream. Was Taddeo hiding a dark story behind that lighthearted surface? Tristan opened his mouth, about to ask the guy what he knew about t-rexes and the Rainy Basin, but as Taddeo raised his head again, Tristan noticed that the guy’s usually sunny expression seemed shadowed. Even though he’d just been forced to tell his own wild tale, Tristan decided to hold off on questioning Taddeo for now. When Tristan and Taddeo finally reached Pteros, their instructor, Will, and his skybax mount, Cirrus, were waiting for them on a wide rock ledge that jutted out from a cliff wall. “Lagging behind a bit this morning, I see.” Will said. Will looked amused. “Training will only get tougher.” He said. “And you’ll probably sleep like a rock more often than not.” He gave the lat cadets a hearty slap on the shoulder. Tristan yelped as the jolt sent a fresh wave of pain through his sensitive head. Then, realizing what he’d done, he squared his shoulders and lifted his chin, trying to look tough again, but it was too late. The other cadets had seen and were laughing. No doubt they were coming up with more ‘soft city boy’ jokes to crack on him later. Taddeo, at least, gave him a sympathetic look. Tristan felt warmth spread across his face and it wasn’t from the exertion of the two hour climb. He felt just plain stupid. Why couldn’t he be like Taddeo? He would’ve just laughed it off, joking about it and went on like it didn’t matter. But it did matter to Tristan. It mattered that he looked tough. It mattered that he looked strong. None of these cadets were going to out show him. And Fira—a girl—definitely wasn’t going to either. He wanted to swipe that smirk right off her face and bring her high and mighty attitude down a notch or two. Tristan tore his heated gaze away from the other cadets’ jeering faces, afraid that if he watched any longer his angry thoughts would turn into action. He shifted his attention back to his instructor and immediately wished he hadn’t. The man’s gaze seemed to pierce right through him. Tristan folded his hands behind him which appeared to be a respectful stance, but he was really just trying to hide his skinned knuckles and scratched forearms from view. He could see the unspoken questions in the man’s intelligent brown eyes. “A bit touchy this morning, are we?” Will said, arching a dark eyebrow as he spoke. This comment brought on another round of laughter from the rest of the cadets, making Tristan feel like an idiot. He fought the urge to pull it off of his head and pitch it over the cliff edge. But unfortunately, he needed the disguise. Tristan swallowed hard. He knew what that term meant. Dolphin Bay Drifters were not seen in a good light on Dinotopia. They were known to be rough and rebellious folks who treated the Peace Code loosely. They were dubbed ‘Dolphin Bay Drifters because their main headquarters, the Blackfish Tavern, was located just south of Sauropolis along the Dolphin Bay. According to folk lore, their origins came from shipwrecked pirates. Taddeo’s gaze switched over to Tristan, who looked back at him nervously. Will’s gaze flicked back and forth between the two cadets. He looked as if he were about to ask another question, but then changed his mind. “See to it that neither of you are late again.” He said instead. “Yes sir.” Both Taddeo and Tristan said in unison. The cadets lined up against the cliff wall while Will paced in front of them, commencing the day’s first lecture. He talked about clouds and weather patterns and how to pick up on the warning signs of a building storm. It wasn’t long before Tristan found it difficult to focus. Two nights in a row without the proper sleep along with a headache was taking its toll. Taddeo kindly elbowed him when Tristan’s eyes started to get that glazed look in them. Tristan rubbed his eyes and eventually shifted his gaze toward the skybax that stood behind Will. Cirrus basked in the golden morning light, calmly preening himself. Apparently the skybax had grown accustomed to being present during these training sessions for young cadets. Tristan wondered if Cirrus had ever met the night flyer skybax. If only there was a way to communicate with Cirrus. Maybe he could relay to him what the night skybax’s name was. Tristan had already learned during the first day of training that no one approaches a skybax but its rider, so the only one who could do that with Cirrus would be Will. If Tristan wanted to know the night skybax’s name, he’d have to go through Will to find out from Cirrus, which would mean that Will would find out about Tristan’s forbidden night excursions outside the city limits. Tristan watched the skybax closely, impressed at how at ease the creature appeared. Maybe through time Cirrus had become comfortable enough around cadets that he wouldn’t feel threatened if one ever approached him in an attempt of communication. Tristan suddenly realized the silence around him other than the whistling breeze and the distant chatter of skybaxes in the nearby rookery. He quickly shifted his attention back to his instructor and swallowed hard at seeing the irritated look on the man’s face. Laughter rose from the other cadets. For the second time that morning, Tristan felt the heat of embarrassment rise to his face. Fine then. They could know what his thoughts were. He knew they all expected his answer to be anywhere but on the skybax world, but they were wrong. It would be a pleasure to disappoint them. Tristan’s confidence waned and he squirmed, uncomfortable with the direction things were going. He racked his brain, trying to come up with a suitable answer, but nothing would come. He moved on to Jamin. “And then there are those who follow in other people’s shadows, wanting what others have and forgetting that they have unique gifts of their own.” Jamin ducked his head as Will squeezed his shoulder. “And some people go to extra measures trying to prove their worth just because they’re smaller or different, or feel outnumbered or that the odds are against them. This comes across as arrogance. A typical skybax views this with caution. There are too many mistakes made with an arrogant attitude.” Fira’s face took on a bright shade of pink as Will said this while pausing in front of her. “And some people talk too much and miss important details. A skybax will feel unimportant in such a position and irritated at not being heard enough.” He said this while passing Taddeo. Tristan managed to keep from yelping out loud this time, but he flinched, gritting his teeth and wondered at the extra emphasis Will put on the word, ‘hurt,’ and the deliberate rap to his aching head. Had the man guessed why he was sore? Would he demand an explanation later, or was this his way of delivering a gentle warning? He couldn’t look into Will’s eyes for fear the man would guess it all. As a result, he kept his gaze riveted on the gravel at his feet. Will returned to his position near Cirrus again and picked up where he’d left off on the lesson. Tristan realized then, that the man had been gracious. Instead of pinpointing just Tristan and his faults, (which he’d fully deserved), he’d incorporated each cadet into the scolding, giving them all a personal aspect to reflect upon. Because of this, no one sent any more jeering looks his way, and everyone remained exceptionally attentive and behaved humbly for the rest of training that day. That evening, Tristan decided to eat alone instead of with the other cadets. After the long and grueling day, he felt overwhelmed with exhaustion and wanted some quiet time to think. Because the cadets were enrolled in the skybax rider program and could be recognized by the Beginner Rider insignia on the sleeves of all their shirts, they weren’t expected to pay for their meals in some form or fashion like most of the other guests who trickled in and out of the diner. Tristan was relieved, not really wanting to offer his time in exchange for the meal that evening. The rest of the cadets, chatting and laughing, were seated at a table near the center of the dining room. Every now and then one of them would glance his way with the look of invitation to join them in their eyes, but Tristan just averted his gaze and stubbornly remained in his own solitary corner at a small table positioned against the red adobe wall. Paper lanterns lit up the dining room with a warm glow and caused the stone collages displayed on one wall to glimmer enticingly. Tristan stared at it absentmindedly every now and then, only vaguely aware that the stone collage depicted skybaxes flying past a big round sun. He kept glancing toward the windows, remembering his resolve to meet up with the skybax as long as the moon was bright. “And they sent you over here to gather all the juicy information to tell them about later.” Tristan growled. “Thanks.” Tristan said as his eyes strayed to the window again. “Ok. You have my word.” Tristan said. Once the words were out of his mouth, it felt as if an invisible weight lifted from his shoulders. The stenonychosaurus just stood and waited, blinking expectantly. He needed no tablet to write down orders because of his excellent memory skills and intuitive nature. “Speak.” He said, simply. “Another cup of oolong tea and one of those sweet rolls, you know, the ones with all those raisins and nuts and cinnamon swirled all through it.” Tristan said ignoring Taddeo’s disapproving frown. “Fine, fine.” Taddeo grumbled. He threw a glance over his shoulder, looking toward the cadets at the other table positioned in the center of the room. “Well, since you directly asked, then yes. I have been there.” Taddeo said unhappily. “Right. But I was just a kid when I wanted to be involved in convoy work and thought it would be a great adventure. It turned out a disaster instead.” Taddeo said darkly. “Let’s see, you’re 25 now, I’m 17,” Tristan paused calculating. “Ha! You were still in diapers at the time.” Taddeo teased. “Cool! We’ve got a connection.” Taddeo said, but his tone didn’t sound as enthused as his words. The stenonychosaurus waiter returned, carrying a plate with the sweet roll in one clawed hand and a tea pot and an extra mug in the other, which he set down on the table. He pushed the extra mug over to Taddeo and nodded. “It looks like we’ve got a whole pot of oolong tea to ourselves.” Tristan said, pouring himself another cup. “And a huge sweet roll that would taste better, I’m sure, if you shared.” Taddeo said. “Get your own. I already shared my other food with you.” Tristan said, stuffing the first bite into his mouth. “Mmm. It’s delicious.” He said, his words hardly audible between the mouthful. “What was the convoy’s mission?” Tristan asked. “Ok then, but don’t blame me if you end up with nightmares too.” Taddeo grumbled. “I’m still wondering if you worked any with my father.” Tristan said. “So what happened that made you decide to become a skybax rider instead of a convoy guard?” Tristan asked, the suspense of the story getting to him. “I haven’t really thought of it that way before.” Tristan said. “But the convoy just left you? I still don’t understand. Regardless of what you said, it still doesn’t match up with the code.” Tristan said, rubbing his forehead in confusion. “They left because during all the confusion, they didn’t realize I was missing. Now you’re making me jump ahead on the story. If you would stop interrupting and just listen it’ll all come together.” Taddeo said with a slightly peeved tone. Tristan pressed his lips together tightly to keep from making another comment. Taddeo went on. “The air was warm and humid and I think everyone was sweating not only from the notorious humidity of the Basin, but from tension as well. The convoy pressed forward though, knowing that at this point it was best to cross through the tyrannosauruses territory as quickly as possible. At this point, the biologists had already accomplished a lot of their studies and gathered some of the desired plants. We heard the tyrannosauruses approaching, crashing through the trees and underbrush. As fast as they were moving, they were definitely upset about something. The styracosaurus guards had just enough time to form a protective circle around the brachiosauruses before the tyrannosauruses came into view. This was Brill’s moment and in turn, it was me and Weston’s moment too. Brill clambered into the basket and we lowered him quickly down to the ground. The protoceratops bravely approached the tyrannosauruses. I watched in fascination as they conversed. I didn’t know anything they were saying, so I really hoped that Brill was getting through to them. I didn’t know this at the time, but I found out later from Brill that they’d just lost their hatchling in a fight with some deinonychus. They were ready to take out their anger on someone and our convoy passing through their territory only heightened their anger. Brill was trying to calm them down, promising that we meant no harm, but only wanted to pass through their territory peaceably. In exchange we could give them a nice meal of the fish we’d brought with us. But these T-rexes were more than hungry. They were boiling mad about their recent loss and Brill later told me that he realized that offering some tribute baskets of fish wasn’t going to be all it would take to appease these two. During their conversation one of the T-rex’s stepped dangerously close to Brill clacking his teeth and growling ferociously. One of the styracosauruses apparently thought this was too close and quickly intervened. Pushing between the menacing T-rex and the nervous protoceratops, the styracosaurus shook his rack of horns in defense and a fight instantly broke out. In the confusion Brill somehow got in the way of one of the tyrannosauruses foot claws which gashed open his side. Weston’s father, Durias, the mighty convoy leader I looked up to, convinced his brachiosaurus's mount to lower him down to the ground and the man ran over to the fallen protoceratops. Weston and I watched as Durias ran quickly, despite the weight of his armor which I imagined would’ve slowed him down. He expertly dodged the feet of the huge creatures and managed to reach Brill and drag him over to the brachiosaurus that we were riding on. He helped the injured protoceratops into the elevator basket, but there was no room for himself. Weston just stared down at his father with a look of fear in his eyes. I had to shout at him to get moving and help me with the gears to raise the passenger basket. Weston called down to his father, but the man just shook his head and told us not to worry about him and to just get Brill to safety. Then he turned and raced across the chaotic clearing trying to get back to his brachiosaurus mount. Just as we got Brill up into the passenger carrier I looked back down to see Durias dodging through the fighting tyrannosauruses and styracosauruses, trying to get back to his brachiosaurus mount. But one of the tyrannosauruses swung his tail right into the man’s path, striking him hard. The impact sent the man sailing into the air and crashing against the trunk of a nearby tree. Weston’s jaw dropped open and the look of horror on his face still haunts me to this day. No one could survive an impact like that even if he was wearing armor. It was the first death I’d ever witnessed in my young lifetime. Weston started screaming and fighting to get to the elevator basket, but another man, one of the biologists, grabbed him and held him back, telling him to stay put and that it was too dangerous for him to go down there. While everyone seemed preoccupied and not looking in my direction I chose that moment to jump into the elevator basket and pressed the rapid extender button before anyone could stop me. As the basket hit the ground, I rolled out and ran to Durias. I knew he was dead, but this man was my hero. I didn’t want to believe that it was true. I wanted to reach him and get him back to safety just as he had done for Brill. And I also wanted to do it for Weston. By now, the tyrannosauruses seemed pretty preoccupied with the defending styracosauruses so I thought I could stand a chance in getting to Durias. When I reached the man, I could tell that he was dead by the way his eyes stared emptily into space. Even so, I took a deep breath and grabbed the man underneath his arms and started dragging him back toward the brachiosaurus which carried the passengers. I knew Weston wouldn’t want to leave his father behind to be eaten by tyrannosauruses even if he was dead already. Taddeo’s eyes looked sorrowful and he didn’t even get onto Tristan for interrupting him this time. “Then your father is a good man, Tristan. He helped me rescue a dead man even though he knew just as well as I did that it would’ve been safer to just leave Durias behind, knowing that he was dead anyway. We were both risking getting separated from the rest of the convoy who by now was moving away quickly in an effort to get away from the tyrannosauruses. I couldn’t believe the convoy was leaving without us. I realized then that they must’ve had to make a difficult decision and couldn’t risk staying behind for a dead man and a boy that had disobediently left his post. Either that, or they didn’t realize in all the confusion that I was missing. As for Cedric, apparently he’d taken the risk to follow after me. He knew all along that the convoy would have to keep moving in order to save the rest of the passengers. More people shouldn’t have to die on our behalf. We watched helplessly as the convoy moved away and someone slashed a basket of fish free. It split open as it hit the ground, spilling the stinking lifeless fish every which way. It really looked like the three of us were doomed to being left behind. I was more than terrified. I was traumatized by everything that had just happened and I truly thought that I was going to die very soon. Even if those T-rexes didn’t eat us since they now had the fish, it would only be a matter of time before some other carnivores found us, whether it be more T-rexes, deinonychus, or allosaurus. We were in carnivore territory where the peace code held no meaning whatsoever. Cedric told me to let go of Durias, but my hands were clamped tightly around the man’s arm and I couldn’t seem to let go. Cedric literally had to pry my fingers loose. He told me that it was no use. The man was dead and would have to be left behind. We couldn’t carry him that far. He told me to run fast and catch up with the convoy while they were still within sight. I still felt frozen. The man grabbed me and started running, dragging me along with him. But we stopped when one of the T-rexes noticed us and bounded forward, cutting off our path to the retreating convoy. The creature threw back its head and roared. My hands flew to my ears, trying muffle the deafening noise. That’s when the skybax and his rider arrived. They flew incredibly low straight toward the T-rex. Cedric told us that this was our chance and he took off running again, pulling me along with him again. The skybax flew in a circle over the T-rex’s head, taunting him, daring him to try and catch him. The distraction worked. We kept running and eventually caught up to the convoy, or I should say what was left of the convoy. We’d lost our leader, Durias Alasdair as well as a styracosaurus. The other three styracosauruses were injured, though not badly enough to keep them from going, and our protoceratops translator was injured as well. We were a sorry looking lot when we finally made it out of the other side of the Rainy Basin. We were beaten, a number of us injured, and we’d suffered two terrible losses. But the biologists had their important plants, though I felt like it wasn’t even worth it. All I could hope was that their studies over those plants would save lives someday, because we’d lost lives over it.” Taddeo leaned back in his chair and crossed his arms, signifying that he was finished. “So that’s why you want to be a skybax rider. It’s because of the one that saved you.” Tristan said. “Yes. As I mentioned before, I was already having a building fascination with them and now that a skybax and his rider had helped us, giving us a chance at life, my mind was made up. Besides, after all that, my taste for Rainy Basin convoy adventure was over. I really never wanted to go back and if for some reason I ever had to return, I wanted to make sure that it was on the back of a trusted skybax mount and perhaps a chance to save someone else’s life from the jaws of a carnivore.” Taddeo shook his head sorrowfully. “I just wish that Weston’s father could’ve made it. Weston took it hard. After that he decided that he wanted nothing to do with the Rainy Basin or expeditions either. He returned to his home in Bent Root and I saw little of him after that.” Taddeo pushed back his chair and stood up. “I’m ready to go now. It’s getting late.” He said tiredly. Tristan looked around, realizing that the diner had emptied out and he and Taddeo were the last two people occupying a table. The stenonychosaurus waiter was wiping tables and a young girl was sweeping the tile floor. Tristan silently followed his friend out the door. He’d been expecting an adventurous tale and was surprised at the tragic outcome. How Taddeo managed to go on with life and still be cheerful and full of fun and laughter was an inspiration. Tristan really hoped he’d never have to go though something that bad. In the days that followed, Tristan focused hard on the lessons and assignments, but when night came, he looked to the sky, always on the watch for the skybax, though he took Taddeo’s advice and did not go out to look for him for now. The other cadets didn’t know why he watched the night sky so much, but they teased him, taking note of all the times he tripped because his head was tilted back with his eyes riveted on the sky. They called him names; stargazer, shadow feet, and night watchman, all the while hoping he would explain about his unusual interest in the night sky, but Tristan never dropped any hints. Taddeo was the only one who really knew, but kept his secret surprisingly well in spite of his talkative nature. The nocturnal skybax seemed to always be in Tristan’s thoughts. Though he did not search for him at night for the time being, he was ever watchful during the day. He paid close attention to the skybaxes, always on the lookout for one with especially dark hued wings gilded with silver, but he never saw him. In the meantime, it was hard to see the other cadets advancing in skybax bonding skills while he held back, saving his time for one that couldn’t seem to be found under the light of the sun. In some of his spare time Tristan went to the Canyon City library and searched for all the written information he could find on skybaxes. The library was not very large and most of the information he found on the creatures were things he already had learned about them. He couldn’t find anything written about the nocturnal skybaxes though. He hoped that maybe Uncle Drake would time a visit to Canyon City when he could see him. Maybe he personally would know something. One day an Apprentice Rider brought him a thick envelope from back home. Inside were notes and letters from his family. His mother’s note was brief, but filled with love and worry about his well being. His father’s note was brief as well, asking him questions about training and encouragement to keep it up. Celesta, his youngest sister’s note was a little longer than his parents’. I miss you terribly. Home just isn’t the same here without you. Sekani and I took a trip down to the beach recently and I found more beautiful seashells for my collection. I’ve started making bracelets and necklaces with the shells and there’s a jewelry shop here that I can take some of them to and trade for other pieces of jewelry. I’ve taken over your old job of washing dishes in the restaurant and other clean up work. Tiana works as a waitress now. Mother tried to get me to waitress too, but I’m terrified with the idea. I don’t want to have to talk to all those people I don’t know! Tiana is good at it, but sometimes she gets in trouble for talking too long to customers. I still get really weird dreams sometimes. One night I dreamed about you, probably because I miss you so much. It was a scary dream though. You fell off of your skybax partner while in flight. I thought you were going to die, but as you were falling, another skybax flew beneath you and caught you on its back. It was amazing! You rode with no saddle like the legend Gideon Altair! Who knows, maybe you will do just that someday—the riding with no saddle, I mean—not the falling. Tiana and Sekani have been doing game competitions together. Father is proud when they win blue ribbons, but Sekani accidently scratched Tiana the other day during one of the rougher games and now father’s not so sure he should keep letting her be involved in the rough sports. He told her this and it only made Tiana mad. Tiana wants me to take advanced dance lessons with her, but I refused. I don’t want to have to be part of the dance recitals and be on stage with all those people and dinosaurs staring at me. I had enough of that when I was little and Mother made us all take lessons. I really hope that you are doing well, Tristan. You’ll be so different when you come back home after training, I just know it. Oh, I miss you so much! You always seemed to understand me better than anyone else. I know you never really liked writing and I know you must be very busy, but if you get a chance, please at least write a small note to let us all know how you are doing. 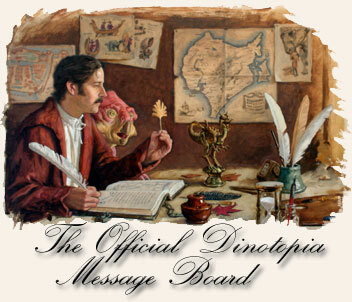 Tiana’s letter was even longer than Celesta’s, which Tristan expected. Tiana, in spite of her social butterfly nature, had a love for stories and writing. It suddenly occurred to him that Tiana would hit it off well Tadd, with this common trait of storytelling and being just plain talkative. Life was so much more fun when you were here. Now I get in trouble all the time instead of only half the time, since you’re not here to claim the other half. Sekani and I are participating in game competitions whenever we can find time, and hey, we’re pretty good! I just may end up getting more ribbons than you ever did. I went in your room and counted how many you have and I’m not far behind at this point. I asked mother if I could have your room now instead of sharing with Celesta, but she still won’t let me. It doesn’t make any sense either, because you’re gone now and will still be gone a long time. I think that mother doesn’t want to face the fact that you grew up and left the house. She seemed pretty upset when I argued that you would only be in for visits after your training, because you’ll be gone most of the time taking on assignments with your skybax partner. Of course I didn’t win though. She still won’t let me have your room. I’m waitressing now in the restaurant and it’s really fun. I get to talk to so many people and communicate with different dinosaurs too. Every now and then there are some difficult customers, but overall it’s a pretty fun job. At first Sekani tried working with me, but that didn’t last long. He wasn’t agile enough and kept dropping things, bumping into things, and upsetting customers. Celesta came home from school yesterday, clearly upset about something. I pressed her about it and Tristan, it was so funny! A boy in her class asked to walk her home and she refused. She was terrified that a boy would show interest in her. I told her she was ridiculous and that was just part of getting older. She said that boys were going to have to just stay out of her life because she never wants to be in a relationship with them. She said they’re too scary. Oh, Tristan, our youngest sister is so silly sometimes! And you know what else she did? She asked Sekani to protect her from prospective boys and scare them away. So far Sekani is doing a good job of it too, and has scared off several. He even went as far as nipping off the seat of one school boy’s pants! Celesta and I had a big argument the other day after watching a Spotter and Liner debate. I told her I agreed with the Spotter point of view and guess what? She agrees with the Liners! I told her that all the Starrs were avid Spotter believers and she’d be a traitor to join the Liner side of thinking. I tried to convince her, but for some reason she’s pretty bent on going with the Liner perspective. Guess what? Uncle Drake came by for a visit. He was full of new stories to tell and pleased to find out that you had made it into the Beginner Rider program. He said the last time he’d checked in at Canyon City he’d put a word in ahead of time for you. Now he seems convinced that’s how you got enrolled. Father laughed and told him not be such a big head about it. Uncle Drake said it won’t be too long before the air jousting tournaments begin again and he’s going to participate. Mother said he’s going to kill himself someday, but father just laughed and told him he hoped he’d be the champion. I really hope I get to see an air jousting tournament someday. I want to write more, but father told me not to take all the envelope space and save enough room for everyone else’s letters too. I miss you. Please write back if you get time. You’re life must be incredibly fun right now! I’m so jealous. Tristan put the letters from his family back in the envelope and put it in his backpack along with his emergency supplies. Reading the letters from his family brought on a fresh new wave of homesickness. He decided that it was time for another hike into the canyons in hopes that it would assuage the homesickness somehow. Also, he really wanted to look for the nocturnal skybax again. Though the cadets were kept busy most of the time, they were issued some free time. Every six days they were allotted a full day to spend however they wished. Tristan usually spent this time at the rookery, watching the skybaxes there in an effort to learn more about them, but this time he set out on a hike into the canyons in hopes of spotting the night flyer even though it was daylight at the time. Not long after setting out on the hike, a strange sound reached his ears. Hope rose inside him. Maybe it was a skybax call. Maybe it was from the very one that haunted his thoughts day and night. Excited, he jerked into motion again and as he raced along the ground, veering off of the main path, he risked several things at once: the possibility of turning an ankle, the possibility of losing his sense of direction, the possibility of overlooking a snake basking in the sun, and the possibility of running into someone else when turning a sharp corner around a huge boulder. This last possibility was of course, the least likely to happen, but it was the one that did. The momentum from moving too quickly on a sideways, down hill, slope made it impossible to stop in time when he caught sight of one of the cadets sitting cross legged on the ground in front of him. While trying to slow down his pace and dodge at the same time, Tristan keeled to the right, but still clipped the other boy’s shoulder, sending them both tumbling down the slope. They ended up in a heap of tangled arms and legs where the slope leveled out in a rocky glade. “Well don’t you hear anything?” Mathias said, not yelling anymore, but his tone remained sharp. “Well, yeah, I heard other things, but not you.” Tristan was just about to ask Mathias why he hadn’t heard him approaching and moved out of the way, but at that moment, a scream of a skybax cut him off. Mathias looked up, then scrambled for a nearby cluster of boulders. “Get out of the open!” He shouted over his shoulder. Tristan looked up to see an angry looking skybax swooping down low, aiming right for him. Tristan didn’t wait around to try and sort out why the creature seemed to be upset and why it was targeting him. His feet jerked into motion as he took off after Mathias. He dove behind one of the large stones and felt the wind of the skybax’s wings as it rushed above him. “I don’t understand. What’s got her upset?” Tristan asked. Tristan looked and sure enough, several yards veering toward the left, the rocks were jumbled together in a bigger mass and one of them jutted out further than the others, creating a dark space beneath it. He wished they would’ve seen it sooner. They would have to run fast to make it there before the skybax could reach them. Tristan leaped up and ran as fast as his feet would carry him toward the space beneath the ledge. He felt a shadow falling down over him. There was no time to look up. It might cause him to lose his footing as he ran at such a reckless speed. He heard a fierce scream above him and it sounded far too close. It was so loud it seemed to fill his ears, his head, and his whole body. Automatically, his hands flew to his ears and he risked a glance upward. The skybax was nearly upon him. Huge clawed feet were descending swiftly toward him. The creature’s full shadow covered him now. Tristan veered sharply to the right in an effort to make it difficult for the creature to grab at him. It seemed to work. The claws thumped against the ground just inches away from him. Tristan tucked himself into a roll, making himself a smaller target. He heard another thud beside him, this one sending up a spray of dust. Glancing sideways he saw skybax claws grabbing at the ground next to him. Another look forward and Tristan could see the shadowy space beneath the overhang only a few more feet ahead. He scrabbled forward and ducked at the last minute, rolling into the shelter of the overhang. He scooted to the side, remembering to make room for Mathias, but the other boy which should’ve been just behind him did not arrive. Tristan could hear the angry screams of the skybax close by. While breathing hard from his mad dash, he dared to peek out from his shelter for a moment. His eyes grew wide and his mouth fell open in surprise at what he saw. Mathias stood out in the open, his head bent down and his shoulders slightly hunched in a submissive manner. It appeared that he had no intention of seeking shelter. Tristan’s gaze flicked sideways, noticing the skybax which stood close to his hiding spot. The skybax shifted her attention from Tristan and back to Mathias. She seemed to be thinking hard about which on of them to approach first. Tristan closed his mouth and swallowed hard, hoping that that it would not be him. Even though the space beneath the rock was too small for the skybax to follow him in, she could easily poke her long beak inside and jab at him if she was dead set on harming him. On the other hand, it would be worse to be Mathias. He had no shelter and no way to defend himself from the angry creature. Why hadn’t he followed? Then, Tristan heard that odd sound again, the one he’d mistaken earlier for a strange skybax call. The tones were soft and musical, carried lightly by the breeze. Tristan’s jaw dropped open again when he looked back at Mathias and saw that the music was coming strait from him. The boy had lifted a long dark flute to his mouth and was piping slow, soothing notes. Tristan watched in amazement as he realized that it wasn’t just any flute. Only a dragon flute made tones capable of mesmerizing the saurians. By the looks of it, it worked for pterosaurs too. But where and how did he manage to gain the possession of a dragon flute? As far as Tristan knew, they were not abundant on the island and as a result, very pricey to barter for one—that is if there was even one available to barter for. Tristan felt frustration welling up inside him when he realized that the music which had drawn him there in the first place must’ve come from Mathias playing that flute. That fact alone felt like a stabbing insult. The skybax watched Mathias closely, paying close attention to his movements and the tones coming from the flute. Gradually, she calmed down. She threw one last skeptical glance over in Tristan’s direction before walking closer to Mathias. Tristan could tell by the creature’s lowered head and slow walk that she had relaxed and was not upset with Mathias. She stopped in front of the boy and listened contentedly to the alluring notes which wafted from the dragon flute. Tristan grew cramped inside his shelter. He felt something tickling the back of his hand and looked down to see a spider skittering across it. He flicked it off and threw a pebble after it just for good measure. It seemed wrong that he was cowering beneath a stone overhang while Mathias remained out in the open bonding with a skybax. What made him feel even worse was the fact that the skybax had chased him into hiding. Tristan realized now as he watched the two, that when he’d dashed around the rock face and tumbled right into Mathias, the skybax no doubt had been watching. She’d mistaken his actions for violence toward Mathias and she’d reacted in anger, defending the other boy. Tristan wondered if the night skybax would defend him if he thought he would be in danger. Probably not, considering how little time he’d spent with him. Then again, the skybax had gone out of his way to help him out of the pit. Apparently he was going to have to risk more night hikes in order to get to know the nocturnal skybax better. The problem was the fact that as each night passed, the moon grew smaller, offering less and less light. It would be nearly a month before the next full moon. Also, he couldn’t go out if the moon was covered in clouds. There were far too many ifs, not enough time, and not enough light. Finally, Mathias stopped playing the dragon flute, the last few notes melting into the wind. By now the skybax had crept close enough for the boy to reach out and touch her. Tristan watched with bated breath, waiting to see if the boy would do it. Mathias set the dragon flute down beside him and simply watched the skybax. They stared into each other’s eyes for several moments. Then, Mathias pointed to the dragon flute which lay on the ground. The skybax tilted her head to one side, considering his gesture. She bobbed her head, then spread out her wings, flapping them slowly. Tristan watched as the wings created a gentle breeze, making the small clumps of grass nearby bend back and forth. A smile spread across Mathias’s face. He nodded as if he understood something. Then the skybax backed away and waved one wing tip toward him before taking to the sky. Tristan remained in hiding until Mathias beckoned for him to come out. He walked stiffly from being cramped beneath the rock overhang for so long. “I hope you conveyed to her that I’m not a threat. I don’t look forward to being chased down like that again.” He said grumpily while brushing spider webs out of his hair. “Behave more cautiously in the canyons and the skybaxes might realize that.” Mathias replied. “Did you used to play a dragon flute before you came to Canyon City?” Tristan asked, annoyed with himself for being so intrigued. “Yeah, I saw that. You’re lucky.” Tristan mumbled. Mathias smiled, seeming to forget his irritation with the other cadet for the moment. “I know the skybax’s name.” He said with a touch of wonder in his voice. Tristan chewed on his lower lip, saying nothing. “Windsong?” Tristan repeated in an incredulous tone. “Well no wonder she likes your music then.” Tristan said, not meaning to sound irritated, but his words fairly dripped with the emotion. Mathias rolled his eyes. “Right. I forgot.” He said sarcastically. Tristan fought the urge to verbally lash back. It took all his concentration to walk away, faking a confident manner. As soon as he knew that he was out of sight, his shoulders drooped and his footsteps grew heavy. The wind played with his hair and tugged at his clothes, whispering things he couldn’t understand. In the distance, far behind him, he heard a few sustained notes of the dragon flute. It tangled with the wind until Tristan couldn’t tell which was which. In the days that followed, Tristan watched each one of the other cadets begin a bond with a Quetzalcoatlus skybax partner of their own. A young female named Aerial seemed to like the sound of Taddeo’s constant chatter. He spoke to the creature as if it could understand every word he said. As Tristan observed the two at a distance, he remembered Will saying that the Quetzalcoatlus skybax would not understand human or saurian languages. Why then, did Taddeo bother to speak to Aerial like that anyway? Wasn’t it just a waste of time? Then there was Jamin who seemed to be quickly earning the respect of a skybax named Grey Mist and then Fira was enjoying the company of a feisty one named Swift. In every spare time he could find, Tristan used it to search for the night skybax. He longed to know the creature’s name, but knew that he wasn’t going to discover it unless he spent more time with the skybax. After still finding no success on spotting it during the day, Tristan decided that for some reason or other, the night skybax liked to keep to the shadows, possibly coming out at night only, making it nearly impossible to find him. Once he’d come to this decision, Tristan began searching the shadowed pockets of the canyon during the day, hoping to find the creature hiding from the sunlight. He soon realized that it required dedicated time to descend deeper into the canyon and the more he searched, the more he risked. He’d been tempted to sneak out at night again, but the moon was small, and he kept falling asleep too soon and not waking up until morning. Will had been right about the cadets’ training leading them to a sound night’s sleep. Tristan read and reread the letters from his family back home and finally, early one morning on Free Day, he took the time to write them back. Writing was not his forte, but once he finally forced himself into a chair and got started, his homesickness and longing to see his family again caused the quill to fly across the pages. I would write each one of you a personal letter, but that would take up too much paper, and well, time too. It is so busy here that I practically fall into bed every night and hardly dream until it’s time to get up again and continue training. There is so much to learn. I had no idea that it would be quite this challenging to get close to the Quetzalcoatlus skybax and pursue a Rider’s bond. Not only does it take time to learn about the pterosaurs, but there are other things to learn too, like canyon environment, wind, weather, and the many kinds of jobs that skybax riders are expected to be prepared to take on once Beginner Rider training is complete. Uncle Drake always had so many neat stories to tell, but somehow he didn’t share the ones that included the tough parts of training. Tadd, one of the friend’s I’ve made here, told a creepy story about the carved out beds. Tiana, maybe you can add this to your story collection. He said that the bunk rooms used to be an ancient tomb for humans and the carved out places where we sleep is where the bodies used to lay. Gross, huh? Of course I don’t believe the story, but I still asked where all the bodies went to, just to hear what he’d come up with. Well, he said that long ago the Pteranadons managed to find a way in, picking clean the bones before gathering them up and carrying them away to their secret nesting grounds where their nests were made of bones instead of sticks and leaves. Yeah. That’s the kind of stories guys like to share. There are four of us guys and actually one girl cadet. Her name is Fira and she’s kind of feisty, like you, Tiana. She is so determined to make it through training and not be outdone by us guys. Mother, I’ll have you know that the food here is pretty good, but not as good as your wonderful recipes for the restaurant. We eat most of our meals in a little diner where the food is simple, but hearty. And guess what? I don’t have to wash the dishes! We cadets are expected to do our part by getting through training and start taking on the jobs that there apparently never seem to be enough Riders to fulfill. Father, I’m not sure why you decided to by a convoy guard instead of a skybax rider, like Uncle Drake. After hearing a terrifying story from Tadd, about the dangers of the Rainy Basin, I think being a skybax rider might be less dangerous, over all, no matter what you told me. Is that why you suddenly quit convoy work and switched to helping mother with the restaurant? I wish the carnivores could be easier to negotiate with. Speaking of Uncle Drake, I’ve been here all this time now, and haven’t seen any sign of him. I thought surely he would’ve had a flight route that included Canyon City by now, or at least come up with a chance to drop by. If he stops in Sauropolis any time soon and visits you all, tell him I want to see him! I could really use some advice from my ‘know it all’ Rider uncle. Celesta, after reading about your dream you had, it kind of unnerved me. I hope I never fall off of a skybax, but if I do, I hope the part about another one catching me does come true. None of your dreams have been coming true lately, have they? I know in the past you’ve had some well, how would I put it, weird experiences? I know mother just says that you’re ‘highly intuitive,’ but I heard another term used here one day, and it’s ‘clairvoyant.’ We were told that if Riders could learn more about being clairvoyant, it would help with our communication with skybaxes. Since you already seem to naturally have this talent, maybe you would consider becoming a Rider someday? Mother, I know you’d be cuffing me right now if you could reach me. I remember you unhappily telling me that it was bad enough that I wanted to become a rider and to please, never encourage my sisters to join me on this fairly dangerous journey of becoming a Rider. I guess there are advantages to writing after all. You know I’m teasing. My jokes have always been terrible, I know. Tell Sekani that I miss him a lot. If it wasn’t for him, I’d be a sissy with all this training. There were advantages to growing up tussling with an ornery raptor. I really miss those days and by the sound of it, Tiana, you’re getting to take over with the sports and competitions with Sekani. I can’t believe I wrote this much. I guess I miss you all an awful lot. Someday I will see you all again and hopefully at that point, it will be by flying home on the back of a skybax. Breathe Deep, Seek Peace. Oh, and Fly High. That’s a new greeting I’ve learned that Riders use. Tristan stood up, gathered his things, and dropped off the letter in the Canyon City post office, before heading out of the city for another hike into the canyons to search for the skybax that he so carefully avoided mentioning in his letter to his family.